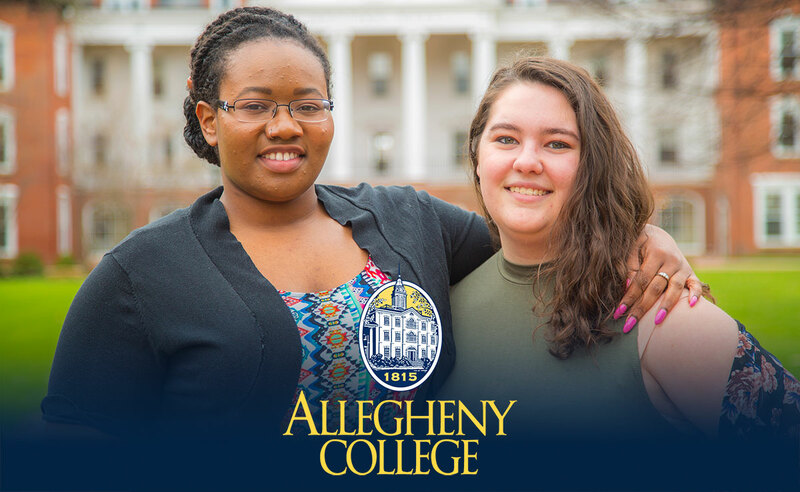 The Student Prize for Civility in Public Life is awarded annually to two exemplary student leaders who have demonstrated a strong passion for, and deep understanding of, civility on the Allegheny College campus and in community work. Prize recipients exhibit a depth and breadth of activities, roles, responsibilities, and years of involvement that have a significant impact on civility and respect on the campus and beyond. 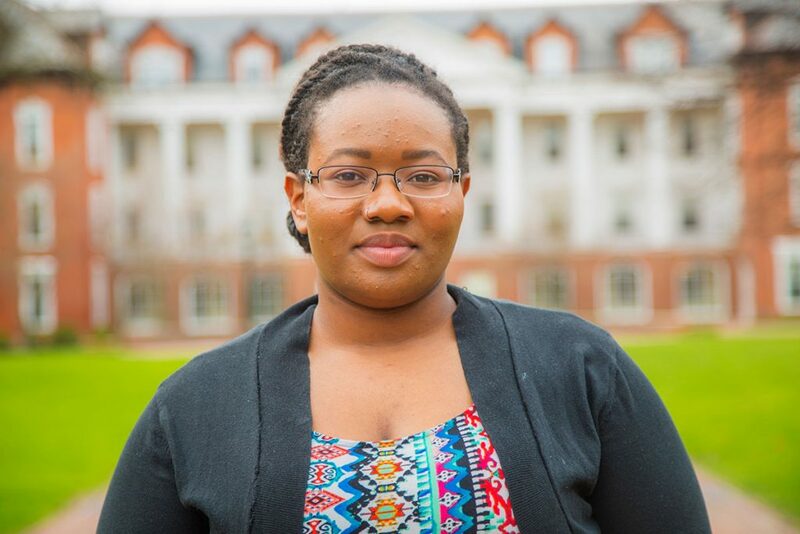 Yemi is a political science and Spanish major with a minor in Chinese from Pittsburgh, Pennsylvania. In 2016, she took advantage of the Gateway and worked closely with the International Education Office to spend a semester abroad in Argentina. In addition to being a Goodman Fellow and ambassador for the Andrew Goodman Foundation, Yemi is a member of the Allegheny Student Government Association (ASG) and the Council on Diversity and Equity (CoDE), and she has served as a resident assistant since 2014. She was nominated by Dr. Shannan Mattiace, chair and professor in the Political Science Department, Dr. Andrew Bloeser, assistant professor of political science, and students Natalie Han and Lyndsey Brame. Each emphasized Yemi’s lifelong commitment to issues of social justice and her careful and critical thinking about student political engagement as a catalyst to understand racial history and the legacy of underlying tensions in communities. Yemi brings a combination of personal experience and careful scholarly judgement to her work in and out of the classroom. 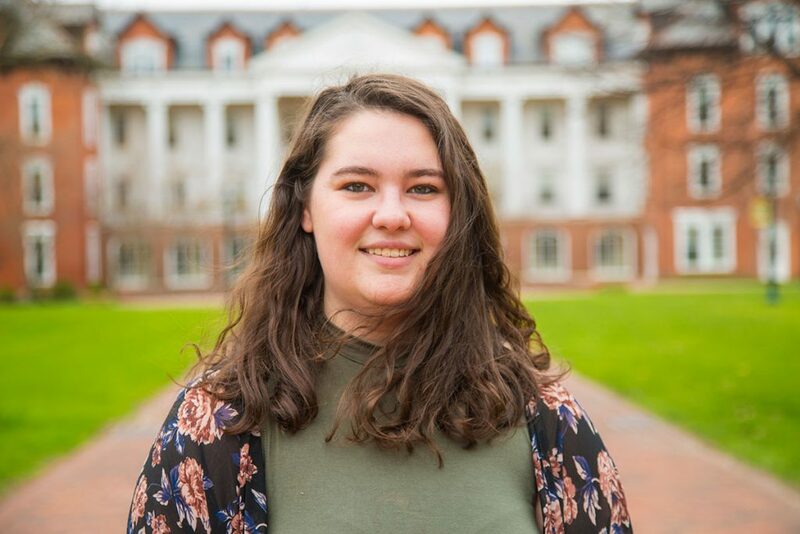 She helped to organize a Know Your Rights program during Gator Day and executed a voter registration campaign for Allegheny students in the 2016 election cycle. 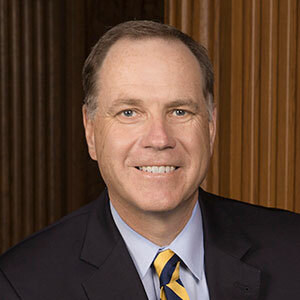 In addition, Yemi was instrumental in engaging the Allegheny community in the 2016 #WeStandWith campaign, mobilizing more than 200 faculty, staff, students, and community members to take a stand against the campaign’s uncivil rhetoric – demonstrating how individuals with different life experiences can arrive at common ground. Yemi also participated as a member of a community panel focused on citizen solidarity and its collective impact on community concerns — her voice a powerful influence highlighting economic marginalization. Yemi, along with another student, is now co-authoring an encyclopedia on the Black Lives Matter movement. This encyclopedia will communicate the human consequences and resilience, perseverance, and progress of a significant political movement. Yemi is known for creating civility not only in tone, but in substance. Sydney Fernandez was nominated by fellow student Leah Franzluebbers. Sydney is a political science major and a black studies minor from West Hartford, Connecticut. She is a member of Kappa Alpha Theta fraternity, co-director of student affairs on Allegheny Student Government (ASG), a member of the Council on Diversity and Equity (CoDE), and co-founder of the Student Alliance for Prison Reform. Sydney has played an active role in the Sustained Dialogues movement, which focuses on transforming relationships and dialogues through conversations that engage differences as strengths and helping people move from dialogue to action. As co-founder and president of Allegheny’s Student Alliance for Prison Reform, Sydney works to raise awareness and increase dialogue on human rights — including imprisonment and poverty, public health consequences, cost of imprisonment, and social transformations of families and communities. Sydney inspires our community to engage in respectful and civil conversations by making room for different voices and perspectives that contribute to effective solutions. Her nominator described Sydney as a “passionate, dedicated and selfless individual who seeks to create common ground around sensitive topics that arise in difficult campus dialogues.” Sydney’s work demonstrates a compelling and high-impact presence on campus and in the community. The prize winners and nominees attended the sixth annual Allegheny College Prize for Civility in Public Life on Monday, April 10, 2017 where President Mullen awarded the prize to U.S. Supreme Court Justice Ruth Bader Ginsburg and the family of U.S. Supreme Court Justice Antonin Scalia during a ceremony at the National Press Club in Washington, D.C.